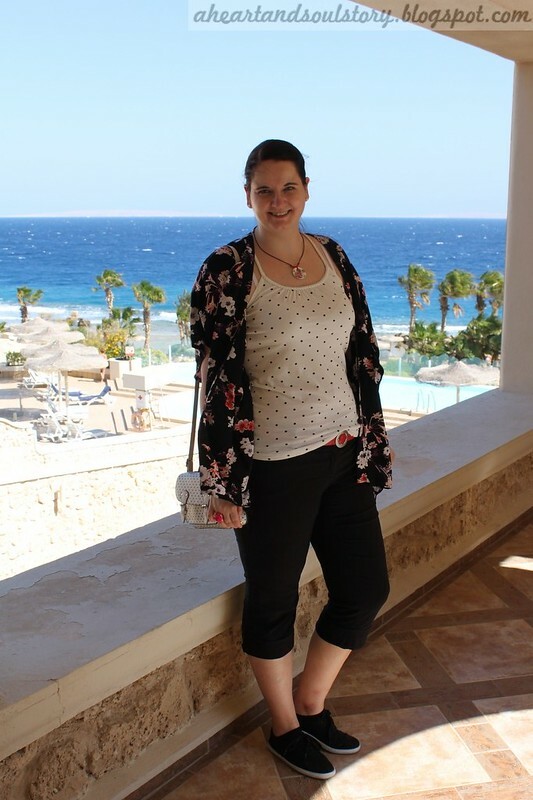 This is my first outfit post from our trip to Egypt this October. 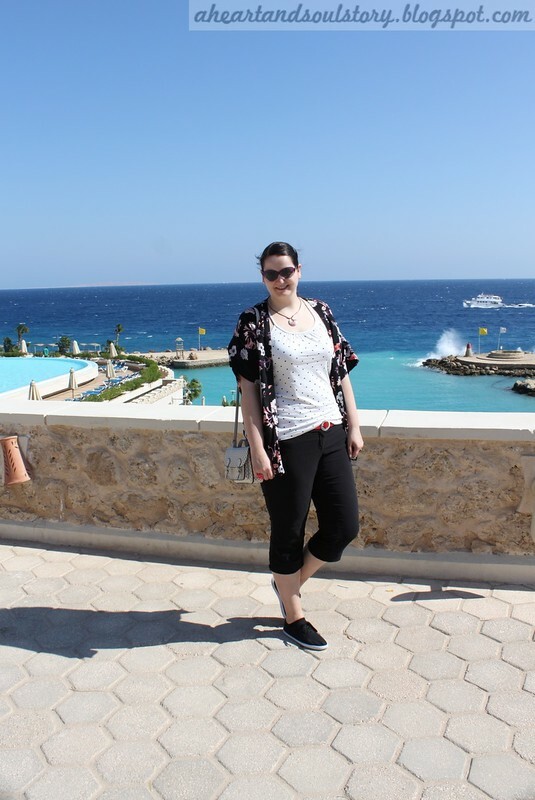 We enjoyed one week of sunshine, the Red Sea and just had some relaxing days. 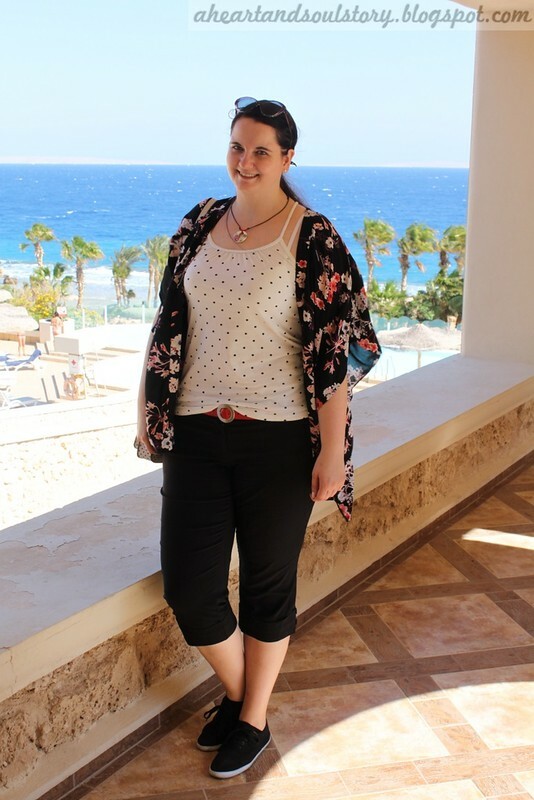 Though I tried to dress up for the evenings, most of my days were spent in my bathing suit, flip flops and wearing tons of sunscreen. This outfit was my look for the first breakfast. I went with simple capri pants and a dotted tank top. As shoulders had to be covered during the meals, I added my kimono from H&M. The look felt a little hot and on the following days, I went with more flowy outfits. Love the pattern on your handbag, I adore polka dots! I love that kimono!! I am from Jordan, which is somewhat close to Jordan. I've always wanted to go to there! It looks gorgeous!! Were you on vacation? yes, I was only there on vacation, but for the second time already. 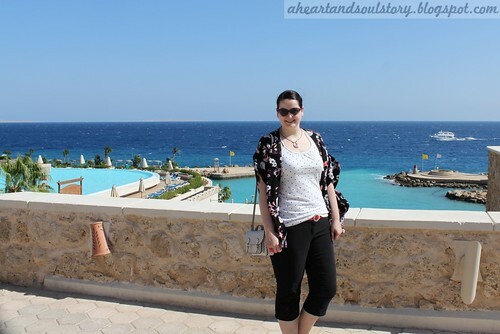 I really like the red sea for a beach holiday. Lovely weather, great for snorkeling!! Thx for stopping by! thank you for your comment. I do adore polka dots as well. My favourite print ever! Ohhh..I have always wanted to visit Egypt but my hubby is not too excited about it. Love the polka dots paired with the floral kimono. 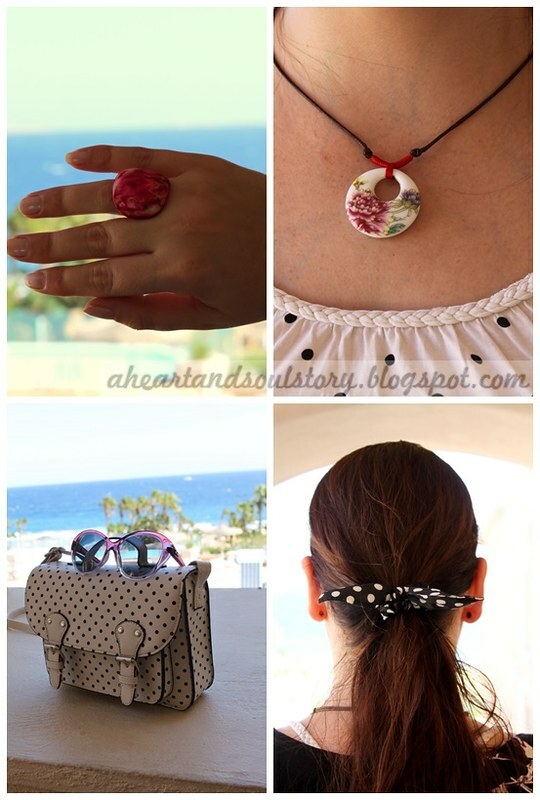 Thank you for sharing on TBT Fashion link up and hope to see you next week! you look lovely! looks like you enjoyed your vacation!